Dr. Jan M. Ruijter trained as a medical biologist and worked in endocrinology, neurobiology, ophthalmology and embryology. 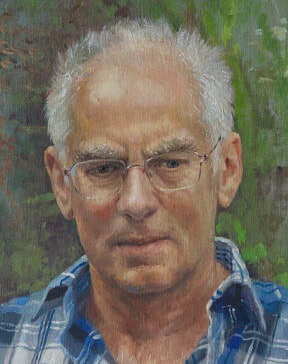 He recently retired from his position as principle investigator in the department of Medical Biology (Academic Medical Centre, Amsterdam, the Netherlands) where he was heading a research group studying the relation between gene expression and the development of the heart with molecular, image analysis and 3D-reconstruction techniques. The statistical analysis of research data resulted in the development of LinRegPCR, a program for the analysis of quantitative PCR data based on PCR efficiency values derived from amplification curves, and Factor-qPCR, a program to remove between-plate variation in a multi-plate qPCR experiment (http://LinRegPCR.nl). A survey of amplification curve analysis programs showed that LinRegPCR is among the most sensitive and reproducible methods. LinRegPCR imports raw fluorescence data, performs baseline correction and reports efficiency-corrected target quantities based on the mean PCR efficiency per target; its compatibility with Excel and RDML places the program in a pipeline between the qPCR apparatus and final statistical analysis. ​Jan is still involved in advanced qPCR courses and currently working on papers on PCR artefacts and data analysis. 1) Analysis of qPCR data: a history of biased simplification. The results of quantitative PCR measurements are generally presented as fold-difference in expression between the treatment, or diseased, condition and the control, or healthy. This fold-difference is then expressed as delta-Ct, the difference in Cq* values observed in the different conditions. These reports are based on the general principle that the position of the amplification curve with respect to the cycle-axis, reflected in the Cq value, is a measure for the initial target quantity: the ‘later’ the curve, the higher the Cq value and the lower the starting quantity of the target-of-interest. However, reporting only delta-Cq, implicitly accepts unvalidated assumptions and an unknown reporting bias. This is because reported Cq values can only be interpreted with the simplifying, and false, assumption that every PCR is 100% efficient. The bias that is introduced by ignoring the actual PCR efficiency of target and reference genes can be prevented with the calculation of so-called efficiency-corrected fold-differences or target quantities, as was already proposed at the start of this millennium. Indeed such target quantities were reported by a large number of qPCR data analysis methods published over the next 10 years. These methods differ in the algorithms used to determine the Cq value, as well as in the way the efficiency of the PCR is determined and applied in the calculations. Moreover, there was dispute about whether the PCR efficiency is constant or continuously decreasing; and, if constant, whether this efficiency is the same for all assays or whether target-specific, or even reaction-specific, PCR efficiencies should be used. In all cases, the issue remains how the PCR efficiency values should be determined. Taken together, these questions did trigger confusion about the choice of methods to analyse qPCR data in general and amplification curves in particular. The original authors of these methods collaborated in a thorough comparison of the performance of amplification curve analysis methods. This performance was assessed in terms of precision, bias, and resolution. The LinRegPCR, the program (http://LinRegPCR.nl) was shown to be among those with the best performance and will be used to illustrate the principles of amplification curve analysis. In this talk, the different aspects of amplification curve analysis, such as baseline subtraction, determination of the Cq value and estimation of the PCR efficiency, will be described and their effect on the reported results of qPCR measurements will be discussed. * Note: The threshold cycle, Cq, was originally known as Ct or Cp. According to the MIQE paper (Bustin et al, Clin Chem 2009) I use Cq to indicate the number of PCR cycles required to reach the quantification threshold. 2) Current issues in qPCR data analysis. An optimized qPCR assay should result in the amplification of the correct amplicon. However, reactions that start with a low concentration of the target, or no target, often lead to the amplification of primer-dimers. The efficiency of the PCR reaction depends on the annealing of the primers which makes that the amplification curves of correct and artificial products are indistinguishable. Valid qPCR analysis requires identification of the amplified product by melting curve analysis. Spike-in experiments, with a complete matrix of decreasing template -plasmid- DNA and non-template -mouse- cDNA concentrations showed that the correct amplification depends on the presence of enough non-template cDNA. Valid data analysis should include a correct handling of reactions that amplify both artefact and correct product. The criterion for reproducibility between replicate reactions is often set to 0.5 cycles; replicates that differ more are then discarded to protect against the inclusion of technical variation in the analysis. However, at high Cq values the sampling error that occurs when pipetting into the PCR plate will unavoidably lead to a variation that is above the 0.5 cycles. Discarding such reactions will lead to loss of low-input reactions an thus to bias and loss of power in the analysis. We used the Poisson distribution to calculate the range of Cq values that can be expected for replicate reactions. This range depends on the target concentrations and the PCR efficiency. The resulting nomogram can serve to determine which Cq difference between replicates really indicates discordant reactions that should be discarded. Applying the delta-Cq approach to report qPCR results requires a Cq value for each reaction. A common approach to fulfill this requirement is to substitute the number of cycles in the run for the Cq value of a reaction without amplified product. To avoid the extreme results and errors resulting from this approach we proposed to distinguish missing values ‘at random’, at low Cq values, and ‘non detectable’ targets, at low target input. For each category a proper substitution of Cq values will be described. ​The number of experimental conditions, target genes and technical replicates quickly exceeds the capacity of a single run on the qPCR machine. To correct this between-plate variation, that will occur in a multi-plate experiment, a limited number of calibrator samples can be added to every plate. The between-plate correction is then based on the (geometric) mean of the measured values of the calibrators. However, such between-plate correction will propagate the random and technical errors in these calibrators to the other samples on the plate. This error propagation can be avoided by maximizing the overlap between targets and experimental conditions over the required plates. The easy way to do this is to run replicate reactions on different plates. Then all available overlapping information can be included in the between-plate correction and the effects of random technical and measurement errors will cancel out. Badly designed multi-plate experiments can be rescued by adding overlapping plates. 1. Ramakers, C., Ruijter, J.M., Lekanne Deprez, R.H. and Moorman, A.F.M. (2003) Assumption-free analysis of quantitative real-time polymerase chain reaction (PCR) data. Neurosci.Lett., 339, 62-66. 2. Ruijter, J.M., Ramakers, C., Hoogaars, W.M., Karlen, Y., Bakker, O., van den Hoff, M.J. and Moorman, A.F. (2009) Amplification efficiency: linking baseline and bias in the analysis of quantitative PCR data. Nucleic Acids Res., 37, e45. 3. Ruijter, J.M., Pfaffl, M.W., Zhao, S., Spiess, A.N., Boggy, G., Blom, J., Rutledge, R.G., Sisti, D., Lievens, A., De Preter, K. et al. (2013) Evaluation of qPCR curve analysis methods for reliable biomarker discovery: Bias, resolution, precision, and implications. Methods, 59, 32-46. 4. Ruijter, J.M., Lorenz, P., Tuomi, J.M., Hecker, M. and van den Hoff, M.J. (2014) Fluorescent-increase kinetics of different fluorescent reporters used for qPCR depend on monitoring chemistry, targeted sequence, type of DNA input and PCR efficiency. Mikrochim.Acta, 181, 1689-1696. 5. Ruijter, J.M, A. Ruiz-Villalba, J. Hellemans and A. Untergasser (2015). Removal of between-run variation in a multi-plate qPCR experiment. Biomol Detect Quantif 5. 10-14. 6. De Ronde, M.W.J., J.M. Ruijter, D. Lanfeard, A. Bayes-Genise, M.G.M. Kok, E.E. Creemers, Y.M. Pinto, S-J. and Pinto-Sietsma (2017). Practical data handling pipeline improves performance of qPCR-based circulating miRNA measurements. RNA 23. 811-821. 7. Ruiz-Villalba A, A. Mattiotti, Q.D. Gunst, S. Cano-Ballesteros, M.J. van den Hoff, and J.M. Ruijter (2017). Reference genes for gene expression studies in the mouse heart. Scientific Reports 7. e24. 8. Ruiz-Villalba, A., E. van Pelt-Verkuil, Q.D. Gunst, J.M Ruijter, and M.J. van den Hoff (2017) Amplification of nonspecific products in quantitative polymerase chain reactions (qPCR). Biomol Detect Quantif 14. 7-18.